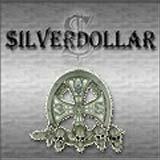 Silver Dollar is a Swedish metal band that originally formed as a cover band. The band played over 300 gigs in a 6 year period all over Sweden. Finally, in 2002, the band released a tribute album, Covers From Hell. The band paid tribute to 80's metal hit tracks from artists such as Ozzy, Iron Maiden, Motorhead, and Dio. That album was well received, and the band has now decided to write and release their own material. This three track EP is a sample of what it to come on their forthcoming full length album, Evil Never Sleeps. Silver Dollar stays true to their 80's metal syle of play with this EP. There is really nothing original at all about what this band does, but I have to say that they are doing it quite well, especially considering that the three songs on the EP make a total of four original songs to the band's credit. The other original track is Lost Forever, a bonus track from their tribute CD in 2002. I am surprised at how tight and polished the sound is on this album. The guitars are loud and clear, very much at the forefront of the sound. The rhythm section is also bold, and has its fair share of sound in terms of mixing. As a result, the songs have a very full, rich sound. This is particularly evident on the opening track, Unleashed Hell. This is a straight up, fist pumping metal anthem that has an addictive chorus, and a thunderous drumbeat leading the way. Dual guitar soloing and shredding in the middle of the song is a very well performed nod to the "in your face" guitar style of classic heavy metal. Contemporary production is able to maintain the old school vibe to the music, without making it sound dated. Neurotic Eyes is a more subdued, darker track that begins with a Maiden-esque rhythm, but never bursts into a full throttle stomper. Instead, some heavy, plodding parts are broken up by some acoustic pieces to create a very ominous atmosphere for the song. Again, some dual guitar solos in the middle of the song are simply superb. Rising Son is another upspeed metal track, this time with a slight progressive twist ala early Queensryche. Some subtle keyboard textures are used during this song, but certainly not in over abundance. The drumming approaches power metal level during the chorus lines. The verses are very well done, and definitely have a Queensryche like catchiness to them. I do think the hook is decent, but a little flat, really missing an opportunity to make this song an unforgettable hit. Also, the use of some distorted vocals sounds terrible and very much out of place. Distorted vocals are used sparingly on the other two tracks, but its easy to look past them. The chorus lines on this track rely heavily on distorted vocals, and to be quite honest, sound absolutely terrible. The lead singer has a powerful, soaring voice, why mess with that? Aside from that, all three songs are very good, with Unleashed Hell being a great anthem. If these three songs are representative of what Evil Never Sleeps will sound like, Silver Dollar will have a very successful debut album on their hands. I do hope they choose to avoid the vocal distortions and affects on the full length, as they are the one and only aspect of the band's sound that I truly did not like. However, the guitar work really shines, and the guys know how to write good ol' heavy metal anthems with balls. The band has made Unleashed Hell available for download on their site. Click here to download a .zip file of the song.